Support Children Awaiting Parents. 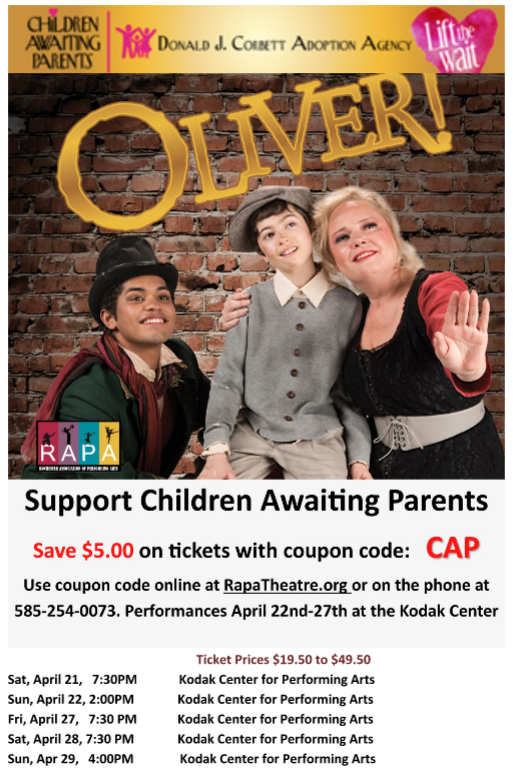 Save $5.00 on tickets with coupon code: CAP. Use coupon code online or on the phone. Contact RAPA Theatre for purchasing.